Here we are just a couple of weeks away from the many festive holidays of December. Maybe you’ve hung lights, perhaps invited some sort of tree into your home for a few weeks. If you’re like us, you’re running around trying to get those last minute items for everyone on your list. 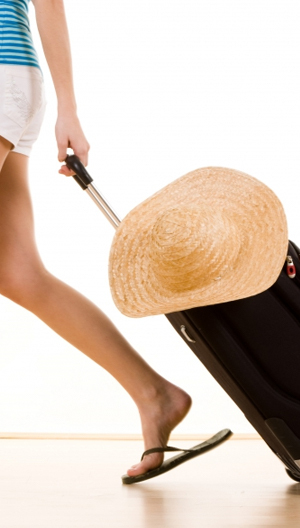 Of course, with the holidays comes travel, whether it’s you heading out of DIA or people you’ll be hosting in your home. Unfortunately, with the winter holidays (and winter in general) comes all sorts of plumbing problems that many people aren’t even ready for. After all, there’s so much to do! Thinking about plumbing is often at the far back-left of people’s minds, right between the is-it-New-Year’s-Eve-already? incredulity and the soon-to-be-arriving fear of what to do on Valentine’s Day. 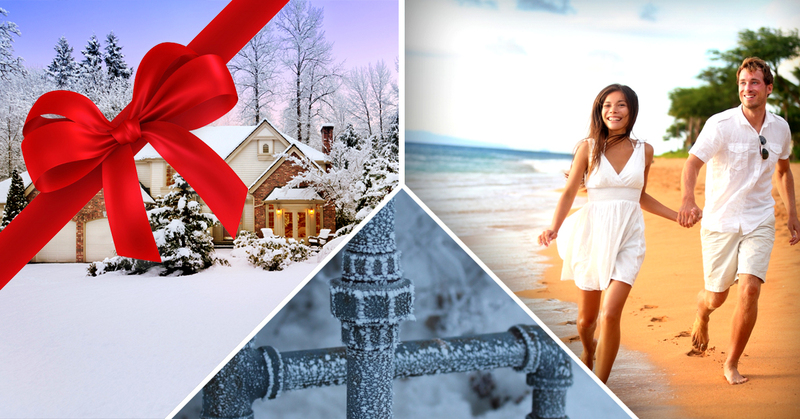 Here are a few things that might show up with plumbing in December. If you have problems, be sure to give your local plumbers a call…but we’d rather you didn’t have problems at all! If you’re sticking around for the holidays, chances are you’ll be cooking some big meals. And there’s also a good chance that you’ll be having lots of people over using your plumbing. Christmas is coming, the goose is getting fat…and the goose fat can clog up your drains. Turkey fat, pig fat, beef fat, and chicken fat can all do the same thing. As we mentioned in our Thanksgiving blog, you shouldn’t be sending anything fatty down the drain, including grease, fats, and oils. They solidify quickly and will lead to drain cleaning…and you certainly don’t want to have to stop cooking and visiting just to deal with a clogged drain. Also, there are those food items that just shouldn’t go into the garbage disposal or down the drain. Pumpkin parts, potato peels, asparagus ends…all of these should be heading into the trash (or better yet the garbage disposal). Whenever you have extra people over, you’re going to be putting a bigger strain on your plumbing system. They’ll be flushing more often, and maybe flushing more than they should. If you currently have trouble with your plumbing, give your local plumber a call and we’ll perform drain cleaning service before they get there. You’ll be saying goodbye to years of gunk that are built up in your sewer system, and you’ll get to enjoy the benefits for years to come. We can also fix your toilet if it isn’t working properly. After all, if it’s not flushing correctly, it could lead to a lot of embarrassment for your guest and for you around the Christmas holiday. If you’re leaving for the holidays, you don’t have to worry about people coming in and clogging your toilets with too much toilet paper, or your mom trying to grind ham bones in the garbage disposal. But leaving for the holidays brings about its own problems. Let’s take a look at how you can avoid calling a plumbing company this December. We wrote an entire blog about protecting your pipes during the winter, so be sure you click on that link and find out how to prevent broken pipes due to freezing. You’ll want to leave the furnace at above 55 degrees Fahrenheit and expose as many pipes to room temperature air as much as possible. Opening up cabinetry under sinks is the first step in doing so. Also, it’s probably a good idea to have a friend on call in case the temperatures are predicted to plummet. You can have them leave a slow drip going in your sink to keep the water moving. Better yet, just have them turn up the heat overnight! Wait, what does “protecting your home from theft” have to do with your plumbing? Well, there are many movies that run on a constant loop on TV during the holidays, and one of them is Home Alone. As you might remember, one of the criminals in that movie has a weird inclination to burgle a home and then stuff a rag in the sink, turn on the water, and cause extensive water damage. And, as it turns out, there have been copycats in real life who do the same thing. Are the chances that great that it will happen to you? No. Are some people just destructive jerks? Absolutely! The holidays can be a great time, but they can also lead to big plumbing problems. Stop these problems before they start with a little prevention. And if something does go wrong, be sure to contact Garvin’s! Why We’ll Never Push You Into Plumbing Services Why Not Let Your Plumber Upgrade Your Fixtures?